Cross-country comparisons speak for themselves: Finland is a good country, states Statistics Finland. Finland is living proof that even small nations can rise to the top of the world, views Statistics Finland. The country may only be the 137th largest in the world by land area and have a population equivalent to a modest 0.07 per cent of the world population. Yet, it consistently ranks among the top of the world in various cross-country comparisons of equality, safety, stability and well-being indicators, indicates a list of 41 comparisons, surveys and studies compiled by the public statistics authority to commemorate the upcoming one-hundredth year of independence in Finland. Finland is the most stable country in the world, according to the Fragile States Index published by the Fund for Peace, and the safest travel destination in the world, according to the Travel and Tourism Competitiveness Report published by the World Economic Forum. The country leads the world in governance and has the lowest level of organised crime and the most independent judicial system in the world. Finns have the privilege to vote in one of the freest and most reliable elections in the world, indicates the Electoral Integrity Project, an independent academic study conducted at Harvard University and the University of Sydney. Finland has the second lowest perceived level of corruption, according to Transparency International, and the greatest degree of press freedom, according to Reporters Without Borders. Finland has been ranked as the second most equal country in the world by the World Economic Forum. The country has the narrowest gender employment gap in the European Union, according to Eurostat, the provider of official statistics on the EU. It leads the Organisation for Economic Co-operation and Development (OECD) in terms of the number of women appointed to ministerial positions. 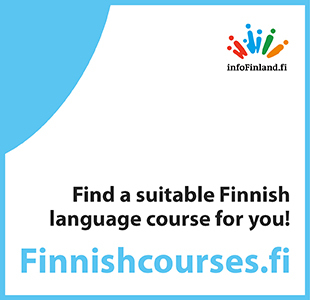 Finland has the most human capital and provides the best primary education in the world, estimates the World Economic Forum. Finns can also expect to go through almost 20 years of education between the ages of 5 and 39, a factor that has helped them outperform their peers almost anywhere else in the OECD, according to the OECD. Finland is the second fairest country in the world for children and the home to the fourth-most satisfied 11–15-year-old children, according to UNICEF. Save the Children, meanwhile, has ranked the country as the world's second best both for girls and in terms of child well-being and maternal health. The above may explain why Finland is the fifth happiest country in the world, according to the World Economic Forum, and why Finns are the second most satisfied with their lives in Europe, according to Eurostat. Finland boasts not only the most trusted police, the second most trusted political system and the third most trusted judicial system in Europe, but also citizens with the second highest degree of trust in one another, the EU's statistics authority has also reported. “The comparisons speak for themselves: Finland is a good country,” concludes Statistics Finland. A complete list of the cross-country comparisons, surveys and studies is available on the website of Statistics Finland.